The Larkana Social Forestry, a subsidiary of the Sindh Forest Department, on Sunday (today) plants 2,500 saplings in Bahman forest in Larkana, and distributes 50,000 saplings amongst people for participating in the tree plantation drive across Pakistan under the Prime Minister Imran Khan’s five-year initiative with the theme ‘Plant for Pakistan’. Reportedly, the department has formulated a plan to provide 50 free of cost saplings to every person after obtaining his/her copy of CNIC. Meanwhile, Larkana Social Forestry officer Arshad Kamario informed the media on Saturday that about 1.5 million saplings would be planted in Pakistan starting from Sept 2 to Sept 5. He expressed profound concerns over the devastating consequences of deforestation which has caused adverse climate changes, global warming, environment pollution, less rains and thus water scarcity, and ‘fatal’ heat waves in the scorching heat of summer in Pakistan. He criticised the massive land degradation, particularly in the riverine area of Indus, due to cultivation by feudal lords (waderas) and landlord-compradors, backed by influential politicians in Sindh. He revealed that the Sindh government has decided to seek assistance from Rangers in order to recover forest lands from land grabbers. 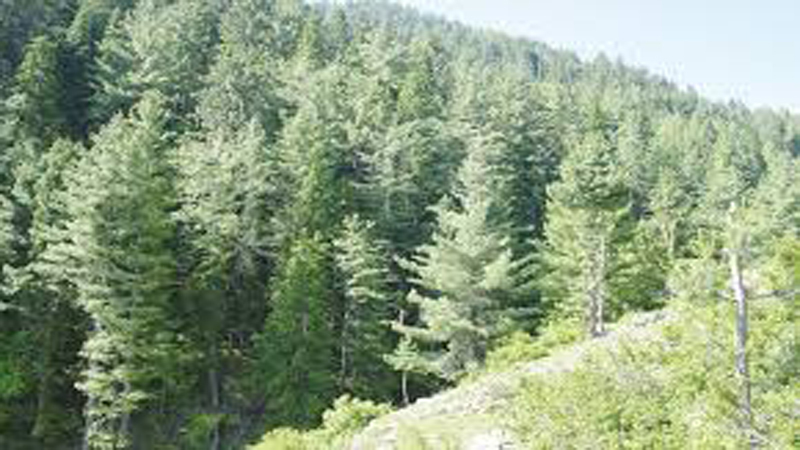 In terms of legal viewpoint, the Sindh Forest Department has a control over 2.782 million acres out of the total land area of 34.81 million acres of Sindh, which makes 8 percent of the total area of the province, whereas, the land grabbing by feudal lords has caused reduction of the forest land to less than 2.5 percent of the total area, including occupation of about 15,000 acres of forest land in forest range of Larkana. He stated that under urban forestation programme, saplings would be planted in schools, roadsides, streets and government buildings. He claimed that a large number of Neem trees were planted in Larkana district, but people were burning and cutting them due to lack of awareness. In this regard, he said that he wrote a letter to the Larkana Deputy Inspector General of Police while urging him to take a stern action against such people, but to no avail. He appealed to the federal government for formulating effective policies to prevent deforestation. Scores of members of Khuhro community living in Mitho Khuhro village on Saturday held a demonstration for the third consecutive day at Jinnah Bagh against former Gambat police senior superintendent of police (SSP) Munir Khuhro for allegedly occupying their 434 acres of agricultural land in Larkana. Reportedly, the protesters claimed that the former officer has been harvesting rice crop in their lands with the help of his accomplices. They further asserted that he had nominated their community members in ‘bogus’ FIRs lodged in the Ketty Mumtaz police station ‘using his influence’. They appealed to the concerned authorities for taking notice of the matter, and provide assistance in recovery of their land with a stern action against the officer. Two people lost their lives and 12 others sustained critical injuries in a fatal accident on Ratokot road on Saturday in the precinct of the Pakho police station in Larkana. Reportedly, the ill-fated Sehwan-bound wagon turned turtle when its driver lost his control while preventing a head-on crash with a donkey cart on the road. The deceased were identified as Sadoro Panhwar (driver) and a woman Sardar Khatoon Khoso. Subsequently, the deceased’s bodies and injured people were rushed to the Chandka Medical College Hospital (CMCH) for medical attention. Published in Daily Times, September 2nd 2018.